Smart homes are increasing in popularity especially as the prices for this technology continue to decrease. Often described as “The Internet of Things” smart home automation connects all of your devices and systems into one connected network. These networks can include your thermostat, appliances such as your washer and dryer, and security systems. There are a number of apps available that allow you to control your home remotely, thus making it a smart home. Smart homes allow the owner to monitor their house while they are away and ensure that everything is running smoothly. It can also help in those occasional lapses when the stove or iron is mistakenly left on when you leave the house. These apps connect all of the switches for your various systems and appliances to one hub that allows you to control them all interconnected. The interface can be mounted to a wall control device, or accessed via an app on your tablet, laptop, or mobile device. Essentially, once the interface is uploaded to the internet it can be accessed via any platform that provides web access. Another additional feature of a smart home is cloud connectivity. While not currently considered a standard service, cloud services are growing in popularity. Standardization across the industry is another current challenge with smart automation systems running on varying frequencies which makes them incompatible. 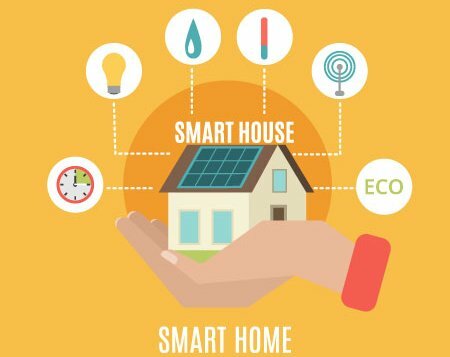 It is hoped that as the smart home industry matures these kinks will be worked out and products from various manufacturers will be able to communicate and be fully integrated. Smart home automation can increase the daily productivity of your household and create a seamless experience when using your multiple devices, security systems, and even home appliances. Learn more at FireFoldAV today about how smart home automation can make a difference for you.